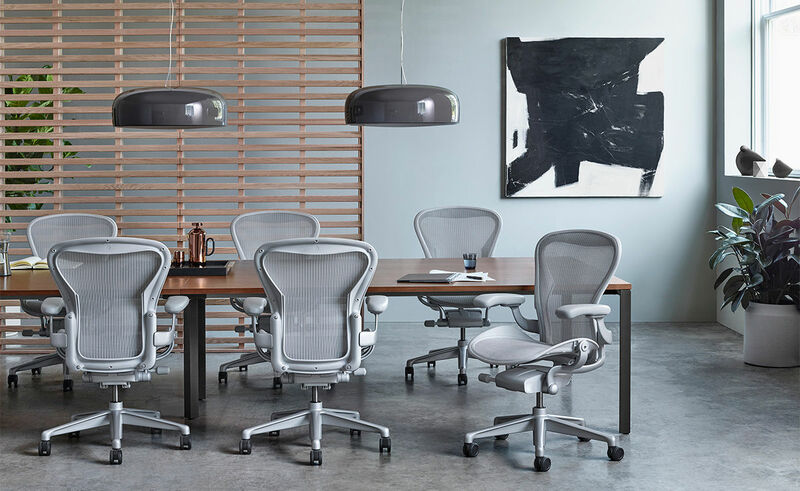 When Bill Stumpf and Don Chadwick designed the Aeron Chair, they combined a deep knowledge of human-centered design with never-before-seen technology to create a chair unlike any other. 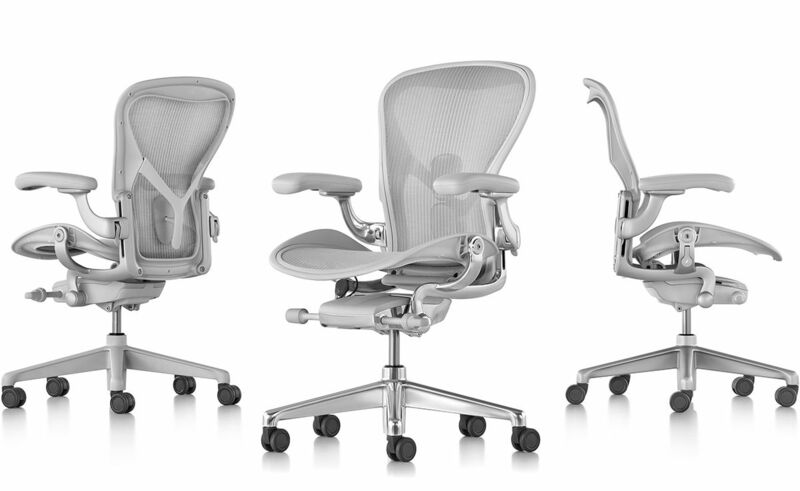 Now Aeron has been remastered in practically every way to create an office chair that better supports people and the types of work we do today. 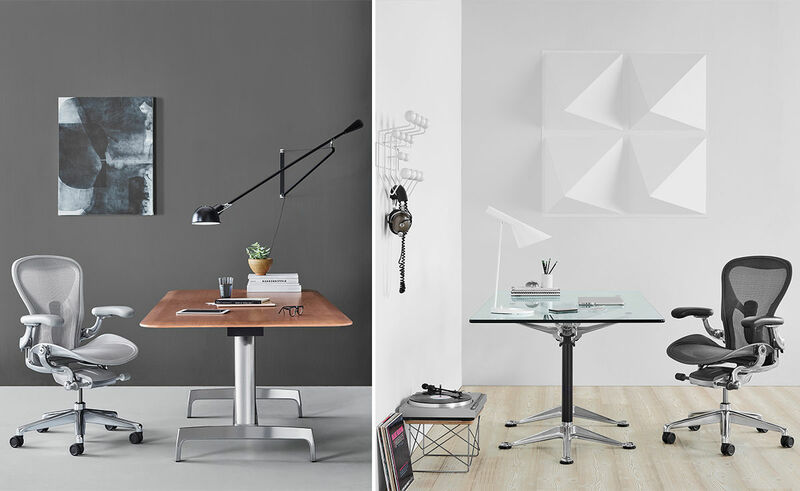 Herman Miller recruited co-designer Don Chadwick to reexamine the design criteria in the context of today’s work and technology. 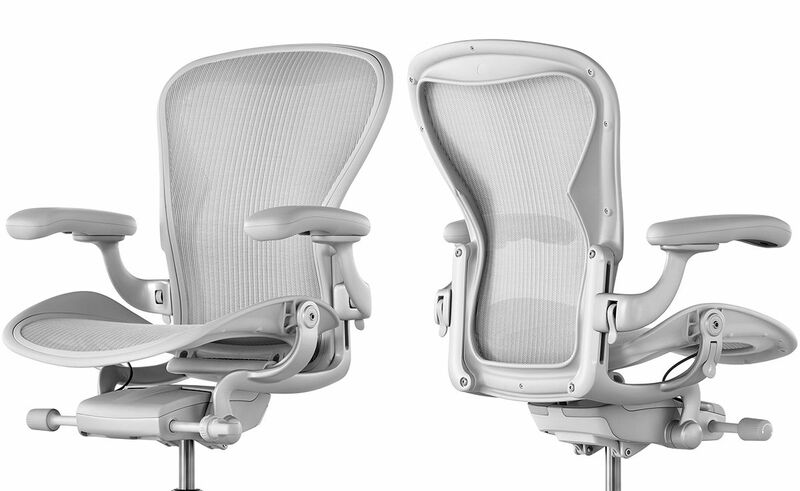 With stronger, smarter materials, better adjustment capabilities, new finish options, and a healthier, more comfortable sit, they didn't recreate or redesign the Aeron Chair - they remastered it. 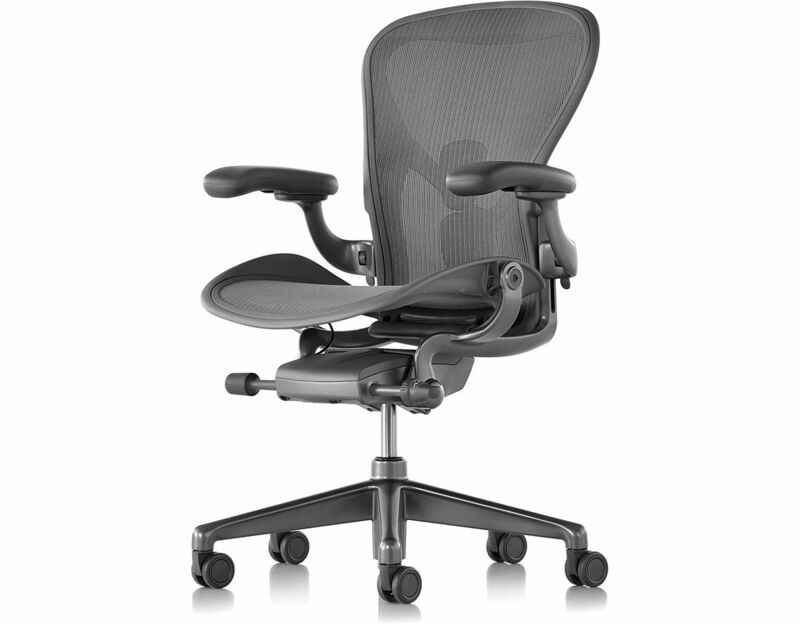 The new Aeron works smarter than ever before - so you can too. 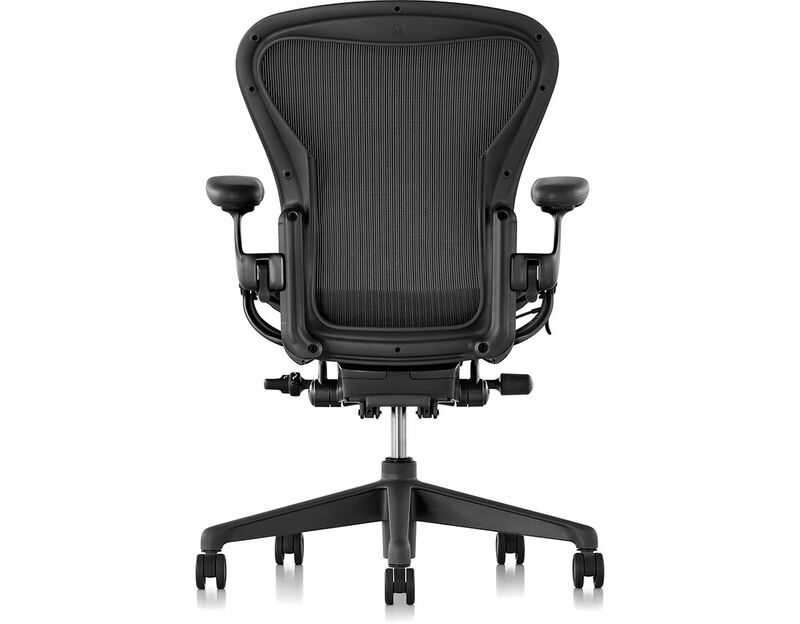 The Aeron chair features pressure distribution, aeration and natural movement. 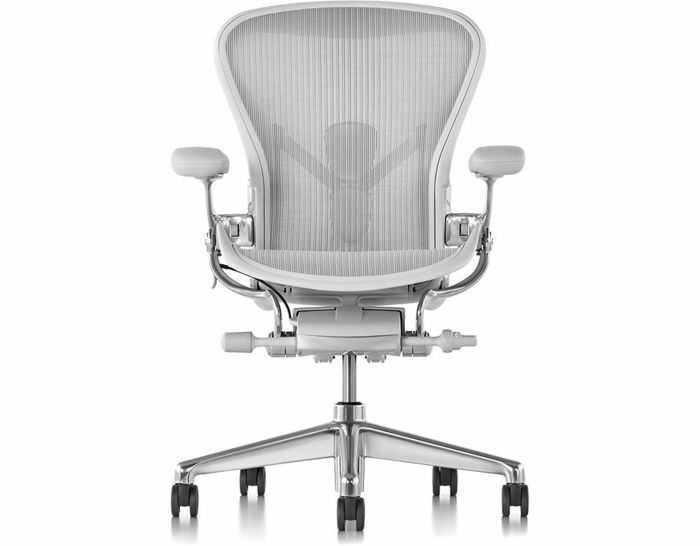 Across the seat & back, eight latitudinal zones of varying tension deliver increased comfort & support. The 8Z Pellicle fabric allows air, body heat and water vapor to pass through to help maintain even & comfortable skin temperature. An updated tilt mechanism delivers a smoother trajectory and optimal balance point to keep you in control of your movement. 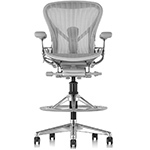 Tilt - standard tilt adjusts tilt tension only. 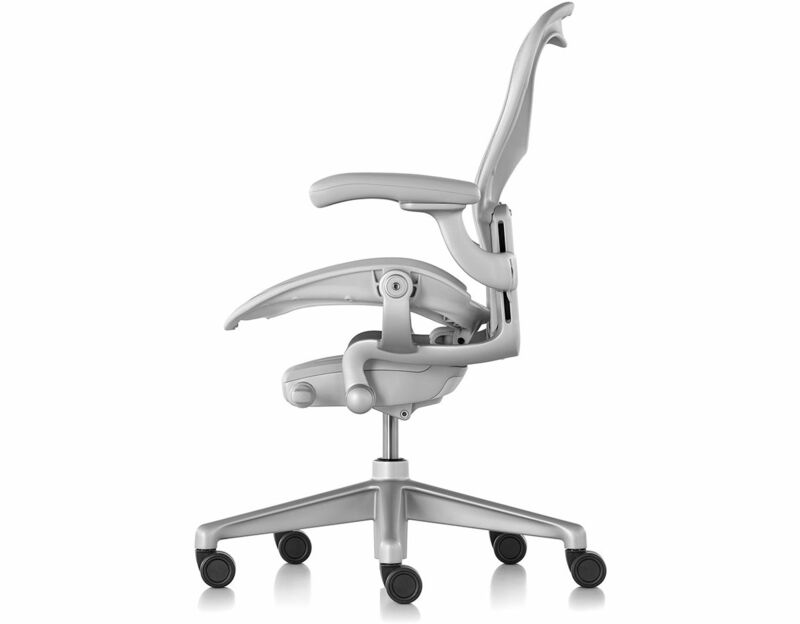 Tilt limiter and seat angle option adjust tilt tension, tilt range (4 settings), and seat angle (horizontal or 5º forward). 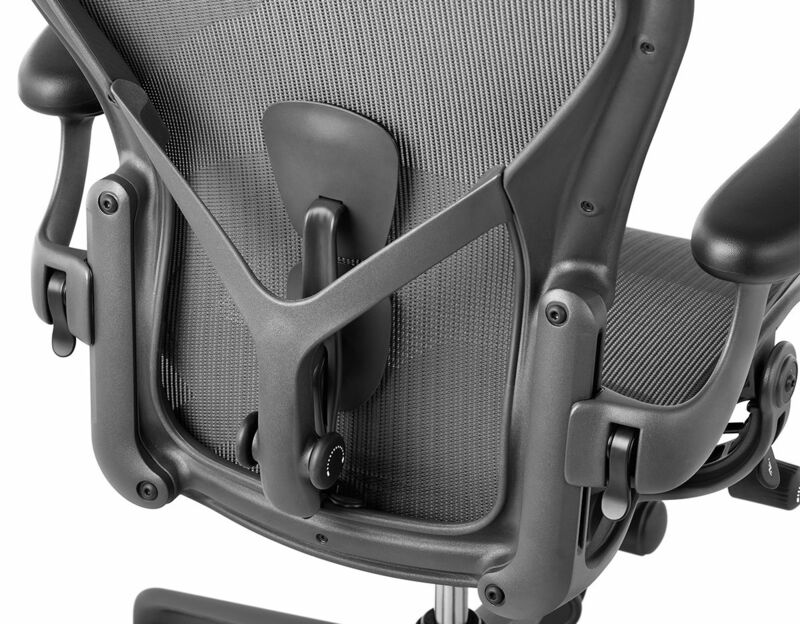 Arms - adjustable arms move 4" vertically and from 15º outward to 17 1⁄2º inward. Fully adjustable, four dimensional arm option is now available. Armpads - available with non-upholstered Vinyl or upholstered in Category 9 leather. 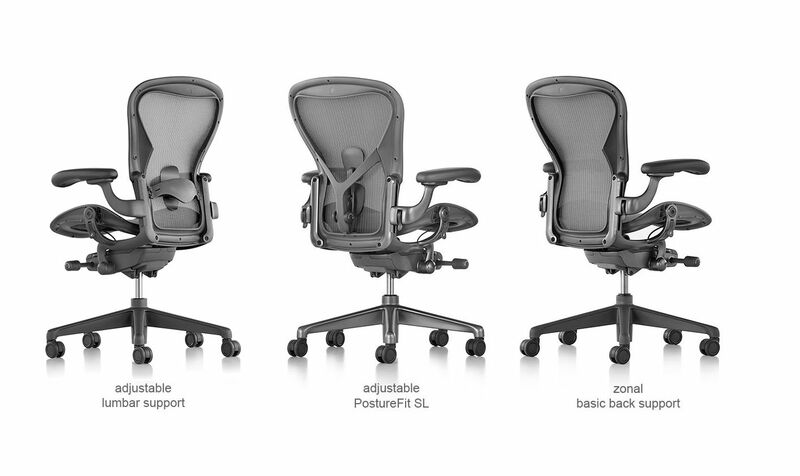 Back Support - three back support options to choose from. 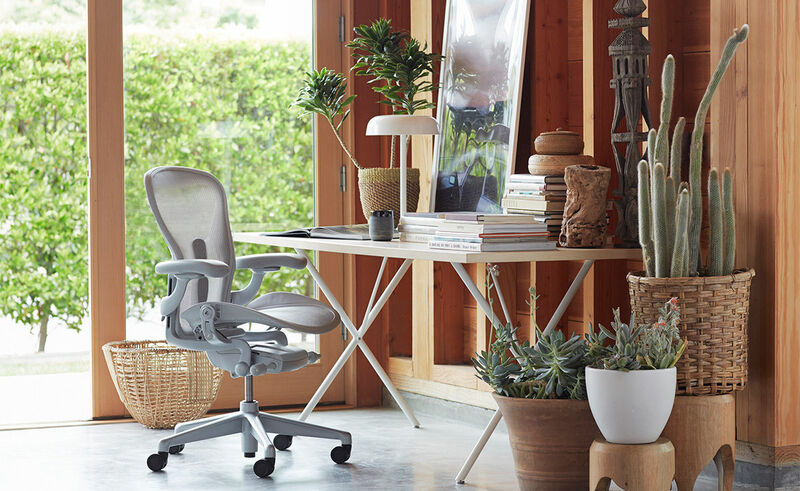 PostureFit SL  support provides a custom fit in the sacral & lumbar regions of the spine, helping to achieve healthier posture and improved lower back comfort. 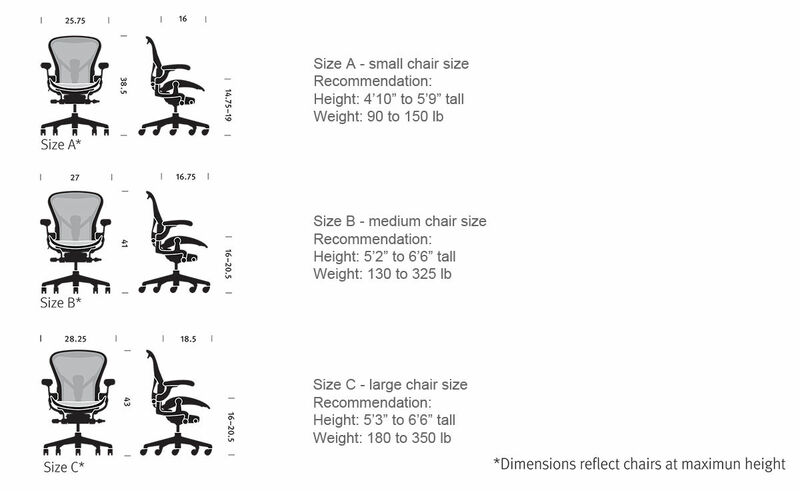 Weight Limits - Aeron in size A is tested and warranted for use by persons 300 pounds and under. 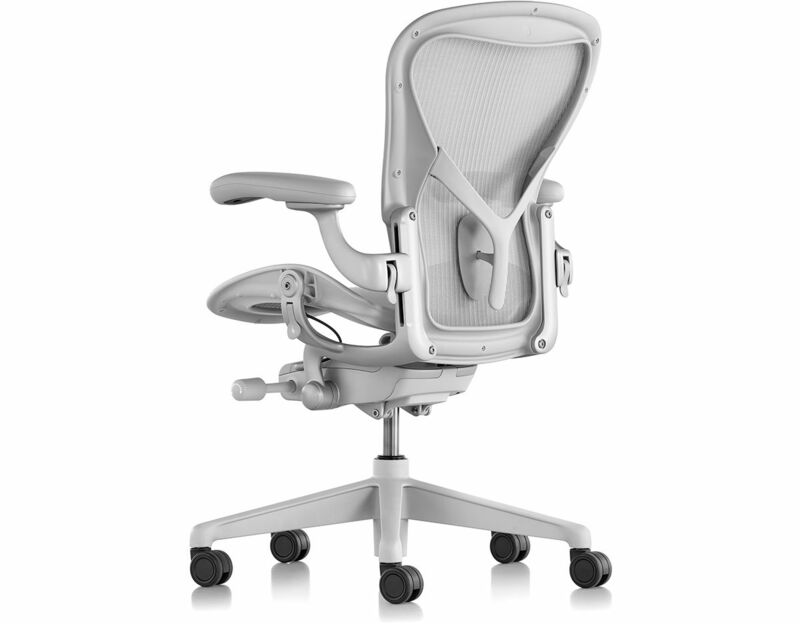 Aeron in size B and C are tested and warranted for use by persons 350 pounds and under. 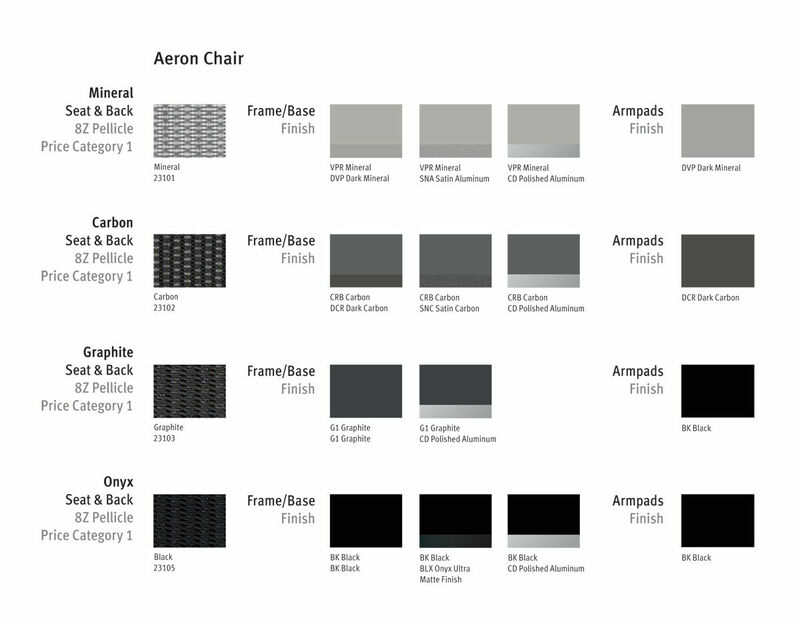 Please note: if arm option is selected, the graphite frame chairs can be specified with either graphite vinyl or graphite leather arm pads, mineral frame chairs can be specified with either dark mineral vinyl or dark mineral leather arm pads and the carbon frame chairs can be specified with either dark carbon vinyl or dark carbon leather arm pads. Black leather is also available, please call to specify. 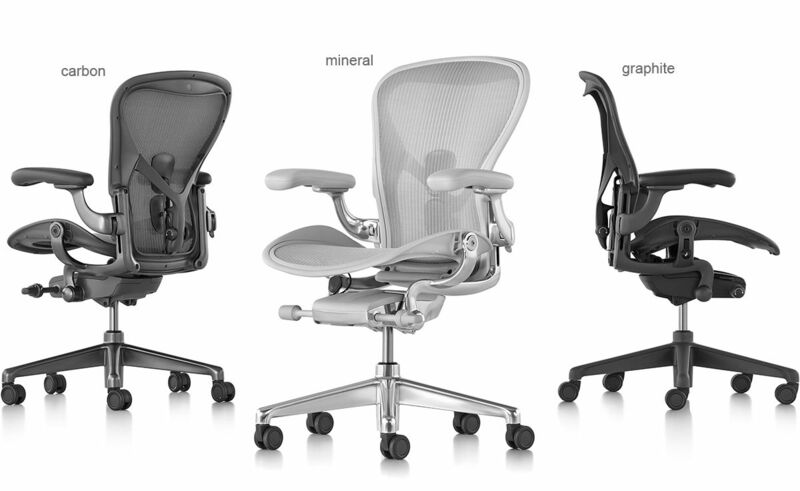 All our Aeron chairs can be customized for optimal comfort. 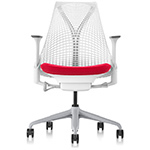 Options include a choice of Zonal basic back support, adjustable lumbar support or adjustable PostureFit SL back support. 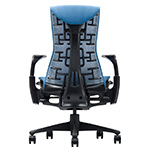 The chairs are available in your choice of frame & base colors, with arm & caster options as well as 8Z Pellicle fabric colors to match frame finish. 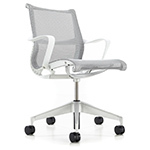 $830.00 + free threshold delivery in the continental U.S.
Agree with "Great chair, horrible price"
Andy, more than a month ago. I got this chair to replace an old, cheap one that was falling apart. At my old office, we had the first generation of Aeron chair and I really liked them. I figured I'd spend a little more and get a lot more. 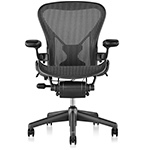 I certainly got a lot more in terms of comfort and posture support, but I also paid a lot, lot more in money. 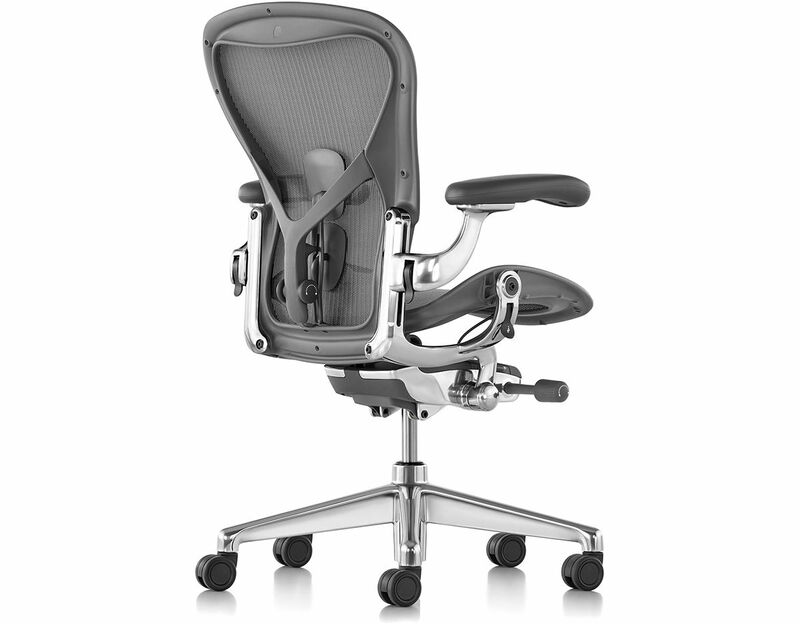 If I had to do it again, I'd probably still get this chair because it's exceptional, from comfort and support to build quality, and I'm sure it'll last a long time. However, the price would still be a kick in the face. 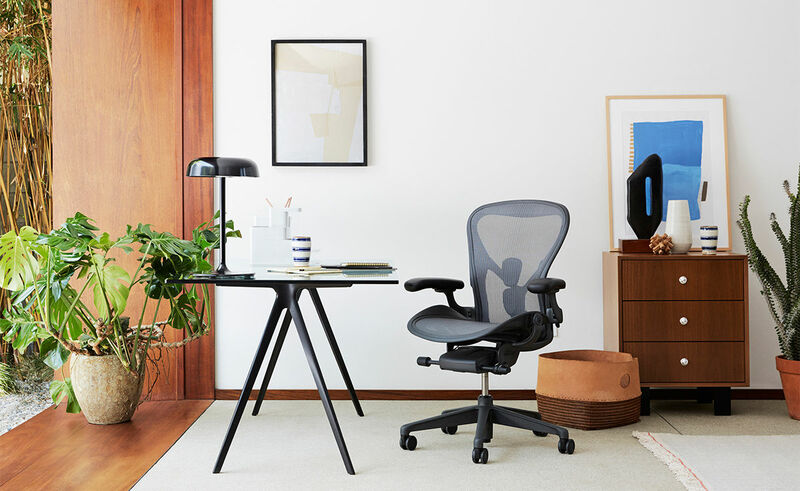 I work from home so I spend a lot of time in this chair, but if you aren't someone who's either going to spend a lot of time in it or someone who has a lot of cash to burn, I'd maybe continue your search for something not quite so extravagant if your heart isn't set on it. I'm sure if I had more time to look, I could've found something comparable in quality and lower in price. 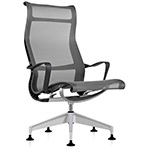 Phenomenal chair - horrible price. Paul, more than a month ago.